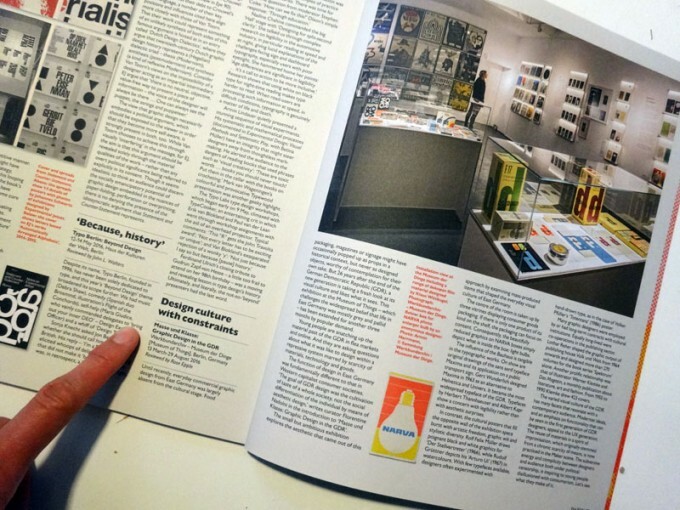 Back from holiday, I was excited to find the new Eye Magazine in my post box – with my review of the exhibition “Masse und Klasse: Graphic Design in the GDR” on page 86. If you are in Berlin and have not seen the exhibition, you still have until August 29, 2016 to visit the Werkbundarchiv – Museum of Things and catch a glimpse of the everyday visual culture of East Germany. The finissage will take place on Saturday 27 with an expert talk about GDR records. See you there?